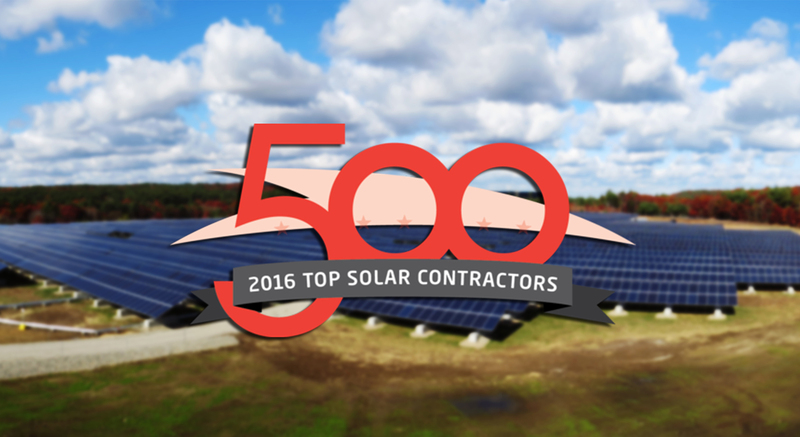 Solar Power World’s fifth annual ranking of solar contractors has named Conti Solar on four lists: #4 Solar Contractors in New Jersey, #24 Engineering, Procurement and Construction in North America, #25 Utility-Scale in North America and #49 Overall in North America. The Top Solar Contractors list is the most recognized annual listing of North America’s top solar contractors working in the utility, commercial and residential markets. Rankings are based on the amount of solar photovoltaic systems installed and Conti Solar’s numbers sat at a total of 145 MW at the time of judging in early 2016. Since then, the firm has installed over 150 MW and is on track to pass 200 MW by the end of 2016.